History pops up in the most unusual places, from time to time. 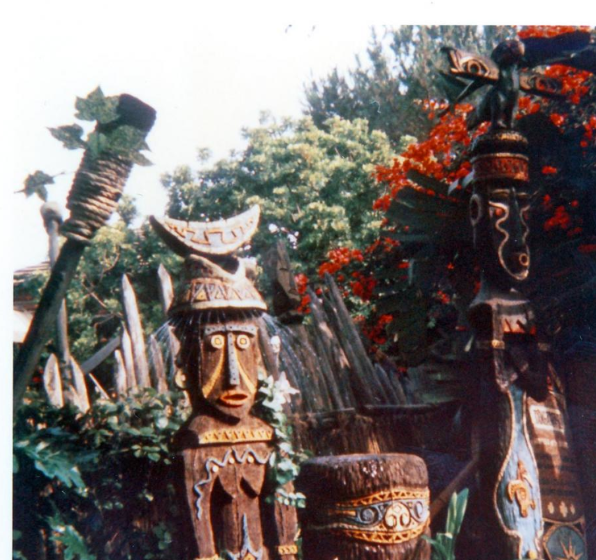 First, Pele, Goddess of Fire and Volcanos: Disneyland’s original figure was painted in bright hues of blue, red, and yellow. 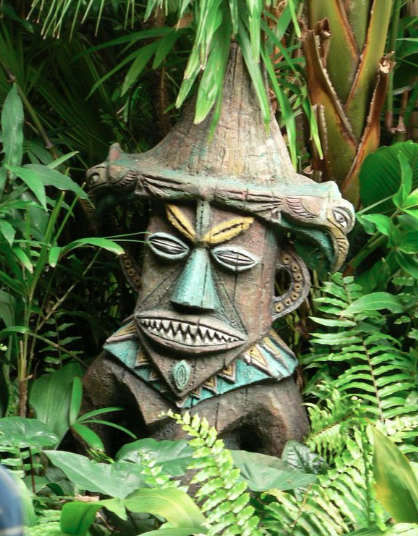 By the time the Enchanted Tiki Room marked 45 years of operation, Pele’s makeup became more of a symbolic mix of reds and oranges to match her proclivity for pyrotechnics. 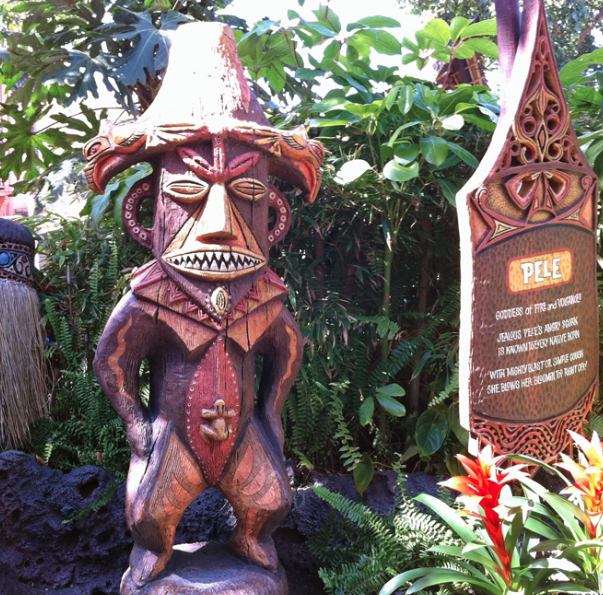 Despite not having a speaking role in the Tropical Serenade preshow, Walt Disney World’s Pele still boasts the original color scheme. 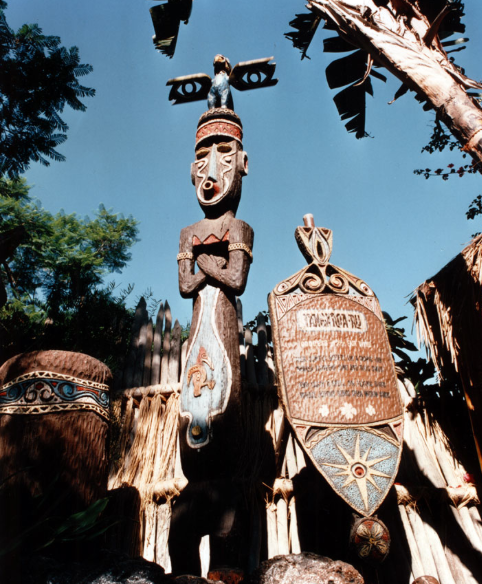 Next, Tangaroa Ru (the east wiiiiiiiind) has remained mostly the same, save for the loss of some red accents around her face. 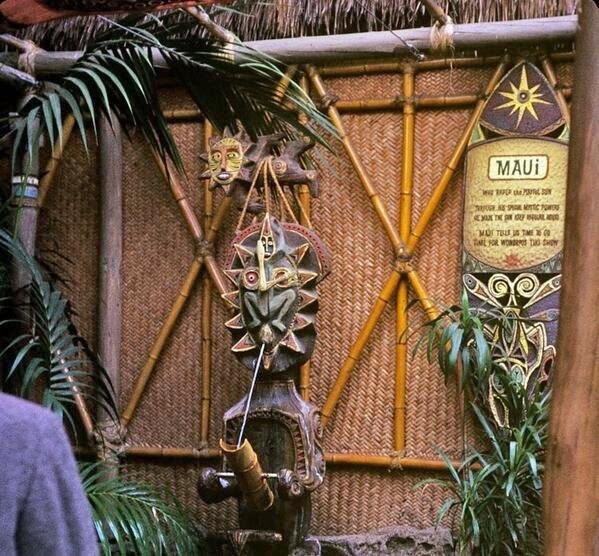 Maui, meanwhile, has many of the same colors as he did in the above 1963 picture. The main difference is found only in the vibrancy of the paint and the manner in which it was applied. 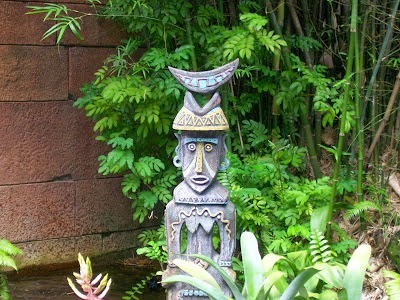 Rolly Crump’s original art for the figure lent Maui a rougher, more authentic texture. 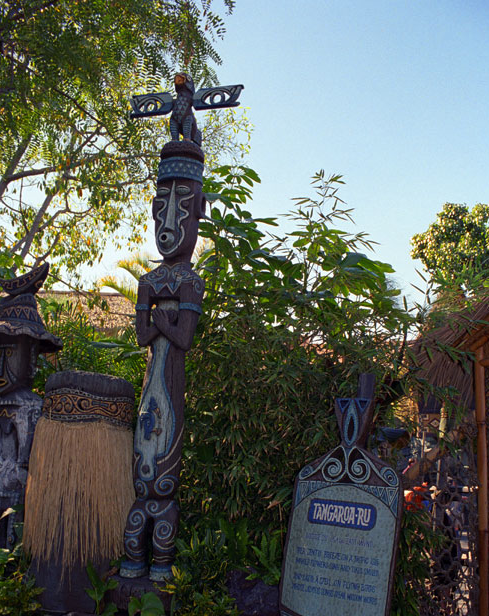 Interestingly enough, Walt Disney World’s Polynesian Village has a figure of Maui behind the Grand Ceremonial House with a slightly altered color scheme from the original 1963 version, but an extremely similar paint texture. 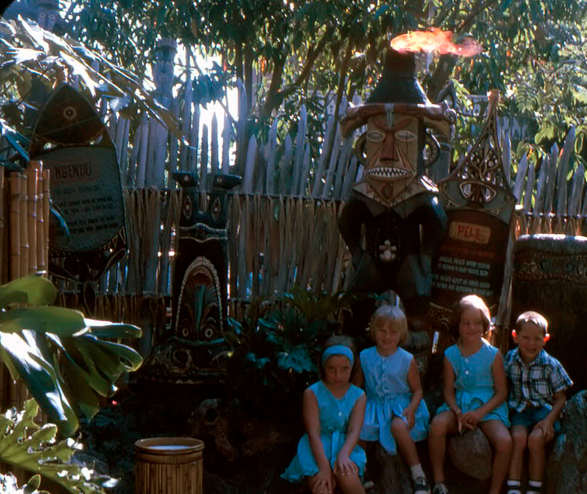 It’s rougher, and more vibrant- closer to what used to exist in Disneyland. Hina, Goddess of Rain, hasn’t undergone a coloration change, but she has also had her actual figure altered. Originally, her “hat” was shorter and spouted water out from her face. 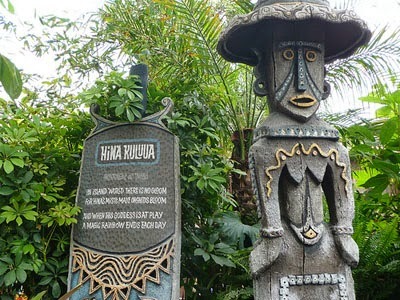 Today, the Disneyland figure has a hat with a wider brim and the water trickles down when Hina takes center stage in the preshow. 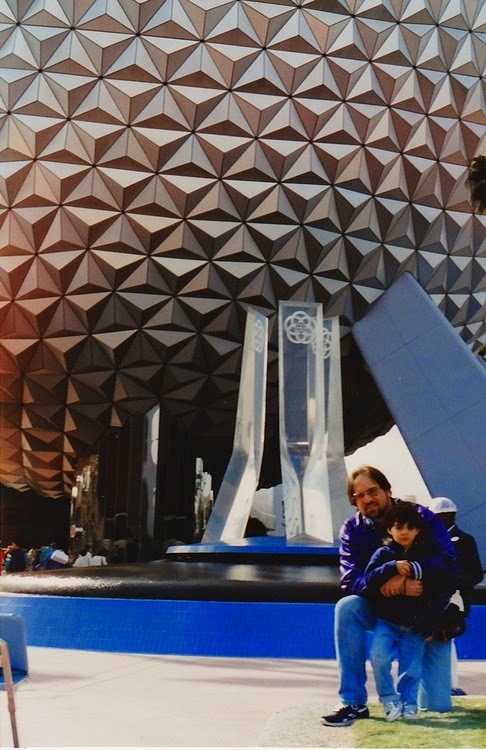 Meanwhile, Hina’s original hat lives on in Florida’s Magic Kingdom. 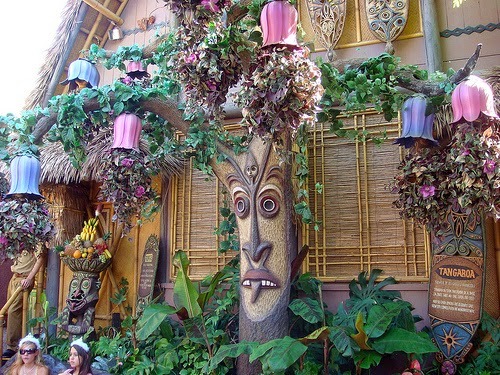 And finally, let’s all just stop and admire Tangaroa’s original color scheme and foliage. Today, the colors are muted and there nearly aren’t as many vines and flowers. 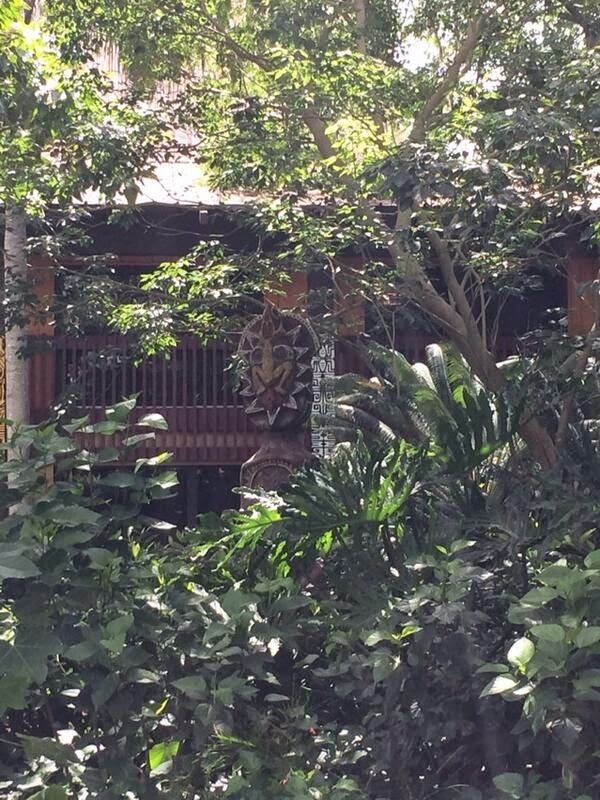 Also, the candy cane stripes on the “new life blooms” have been replaced with pinks and blues.